In-n-Out Burger has provided the highest quality fast food burger available since 1948. Boasting the mantra “Quality You Can Taste”, the chain uses fresh ingredients and consistent deliciousness to keep the customers coming back. And they come in flocks — during regular meal hours, there’s often a line that goes to the door — that avidly desire their burgers from their favorite chain that spans the west coast. 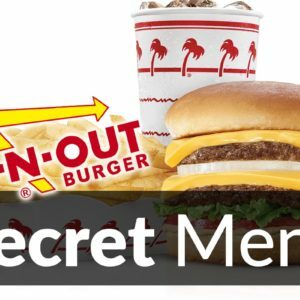 The masses that regularly eat at their local branch, however, often have no clue about the myriad of possibilities on the In-n-Out Secret Menu. If there is one thing that people think of every time the place fast food chain comes into their mind, it would be burgers. Well, fries may count but burgers are more popular to us. 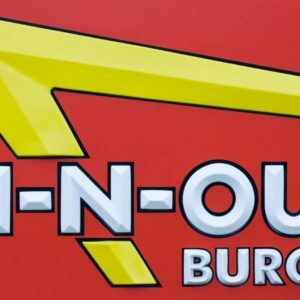 If you love ordering and eating burgers and you love the variety of burgers available in a fast food chain, you are probably an In-N-Out Burger fan! In-N-Out Burger might have not extended its business worldwide but it did capture the taste of western countries in America when it comes to quality burgers. You’d enjoy the variety of burgers they offer that are packed with ingredients you’re craving for a burger. But what is totally amusing about In-N-Out Burger aside from the fact that they are serving mouth-watering burgers is the help they extend to the community through their foundation. In-N-Out Burger loves children; and they don’t want abused and neglected children to be abandoned anymore. They want to help children to grow with peace and love in their hearts. They surely make their foundation evident to their customers. So, ordering from them will not just grow the business but will help a lot of unfortunate kid build to build their future. 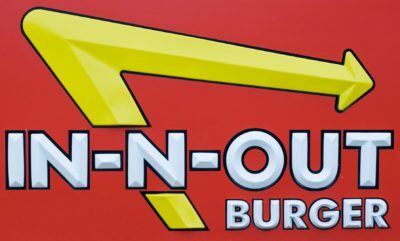 Yes, you read it right; In-N-Out Burger was the first to introduce a restaurant that offers drivers to order on a two-way speaker system. That’s what we call drive-thru today. But let’s talk about that a little later. Let’s talk about how it started. It was 1976 when the late Rich Snyder, son of Harry, assumed the presidency position when the latter died. With his sibling, Guy, he expanded the business to 93 restaurants. It was Guy’s time to assume the position but in 1993 he also died but was able to expand to 140 locations. It was Esther who assumed the CEO position when Guy died. Currently, Lynsi Snyder, the daughter of Guy and the only grandchild of the deceased founders is the heiress of the company. In-N-Out Burger’s menu hasn’t quite changed since it first introduced its products in 1948. Probably, it is trying to preserve the heritage and the quality that the customers loved ever since. The menu contains (mostly) hamburgers, fries and shakes that are quite simple but very accommodating to the wallet. The burgers they offer contain 100% pure American beef with no preservatives, melted American cheese, onions and tomatoes, spread and top-and-bottom toasted buns baked using traditional, slow-rising sponge dough. The Double-double is their bestseller. Aside from the burgers, In-N-Out Burger has French fries, shakes of different flavors and beverages. Just imagine how In-N-Out Burger manages to succeed with the simple menu it has. It really all boils down to hard work and quality of served meals. Who would have thought that with In-N-Out Burger’s simple menu, it has a secret menu of its own? But they call it a not-so-secret menu because literally a lot of people know about the items they are offering ‘secretly’. Among the secret menu items of In-N-Out Burger is the so popular Animal Style burger. They add a very delicious sauce, pickles, grilled onions and the mustard fried on each patty. Sounds yummy (go grab one). Another secret menu is the Flying Dutchman. A question asked; who needs buns when you can taste a burger better with just patties and cheese? If you are trying to avoid eating carbohydrates, you can have the Flying Dutchman at your rescue. Just prepare a pile of tissues because your mouth might get messy. You can check more of their secret menus on their website of on Secret Menus. Since we’re mostly dealing with burgers here, expect the vast amount of calories and carbs. Yet, this information is made available on In-n-Out nutrition for your reference (so you don’t have to be too cramming). The pricing list of In-N-Out Burger is not that complicated because there are only few items offered. Their meals are priced from as low as $5.25 to as high as $6.60. Well, they also have individual prices that you can check out on In-n-Out menu prices. In-N-Out Burger is operating perfectly with 300 locations in United States. It recently opened its first outlet in San Antonio. The company is still working on some expansions and hopefully it will travel across the world to serve people with their finest burgers. In-n-Out Burger is open from Monday to Saturday starting 10 o’clock in the morning ‘til 5 in the afternoon. However, they don’t operate every Sunday. If you want to work for In-N-Out Burger, you can check out In-N-Out website or visit directly to one of their outlets. They are open for full-time or part-time position. Don’t miss the chance of being a member of the leading burger chain in the United States. Who knows you’ll get a free burger.